Fritz Block (1889–1955) was one of the most dedicated proponents of Germany’s postwar New Building movement. Starting in 1929, he also used the medium of photography to express the impulse of modernism along the ideals of New Objectivity and New Vision, traveling as a photojournalist to Paris, Marseille, and North Africa, as well as in 1931 to the United States, on a trip that took him to New York, Detroit, and Los Angeles. In spite of his prodigious accomplishments, because of his Jewish heritage, Block was banned by the Nazis from working as an architect in Germany in 1933, as well as from publishing his photographs. After this, he turned entirely to photography on extensive trips abroad. The first book to focus on Block’s work as a photographer, Photo-Eye Fritz Block features a vast range of photographs taken throughout his entire career. Among his major journeys were a Zeppelin flight to Rio de Janeiro in 1933 and a world cruise in 1938. Block eventually emigrated to Los Angeles in late 1938, where he focused on color slides for educational purposes that characterized his work from 1940 to 1955. It was during this period that he produced an innovative series of slides depicting California’s architectural modernism, which were widely distributed throughout the United States. 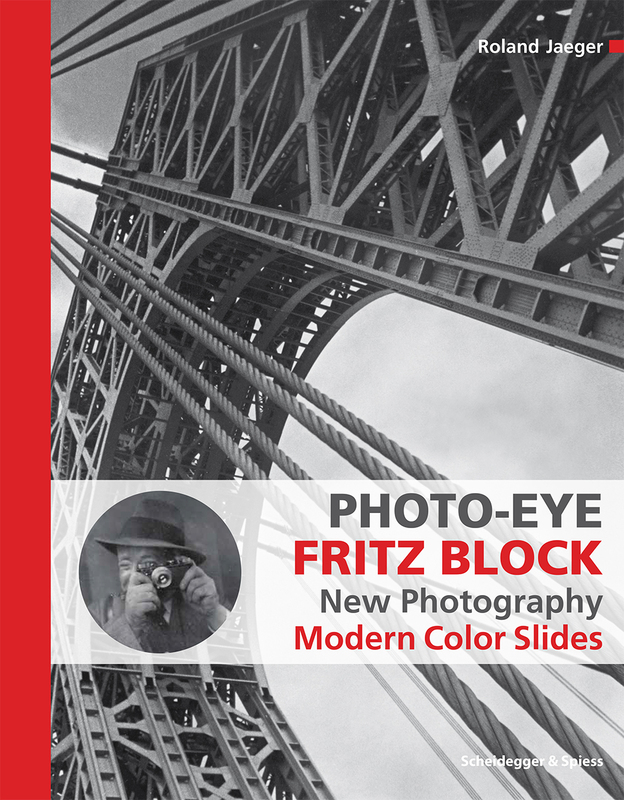 Vividly illustrated with 475 photographs, including many in full color and published here for the first time, Photo-Eye Fritz Block demonstrates Block’s significance in modern photography. It is a must-have for any photography collection.